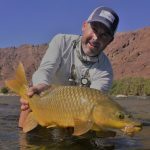 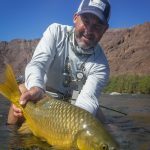 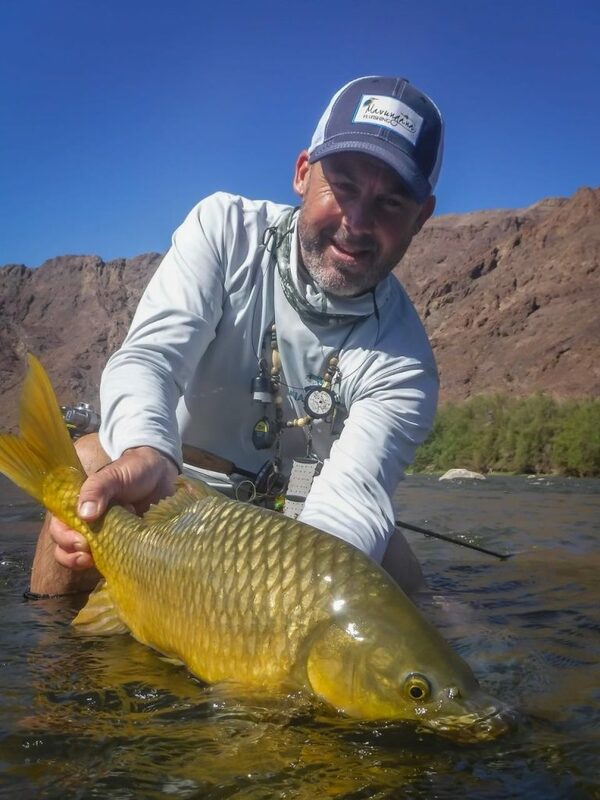 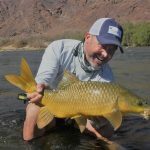 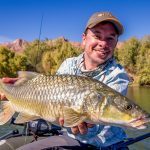 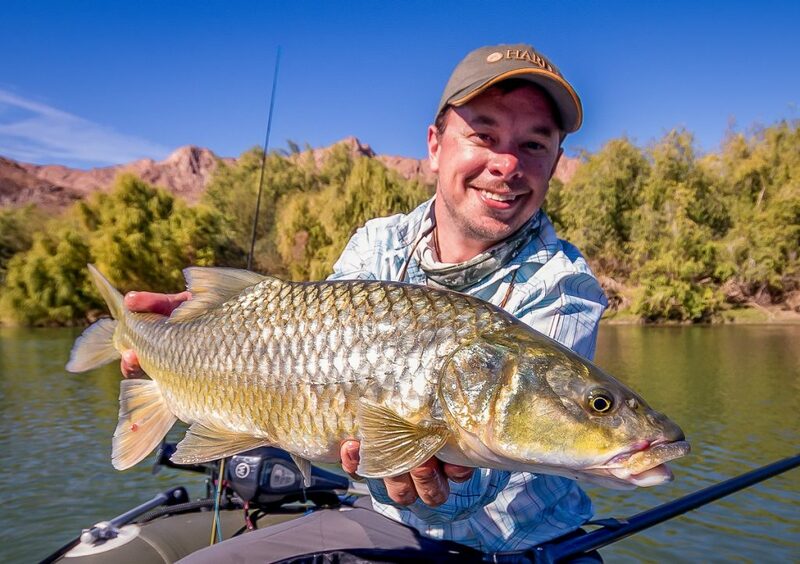 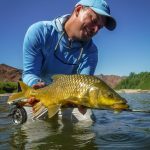 We love yellowfish – I mean who doesn’t!? 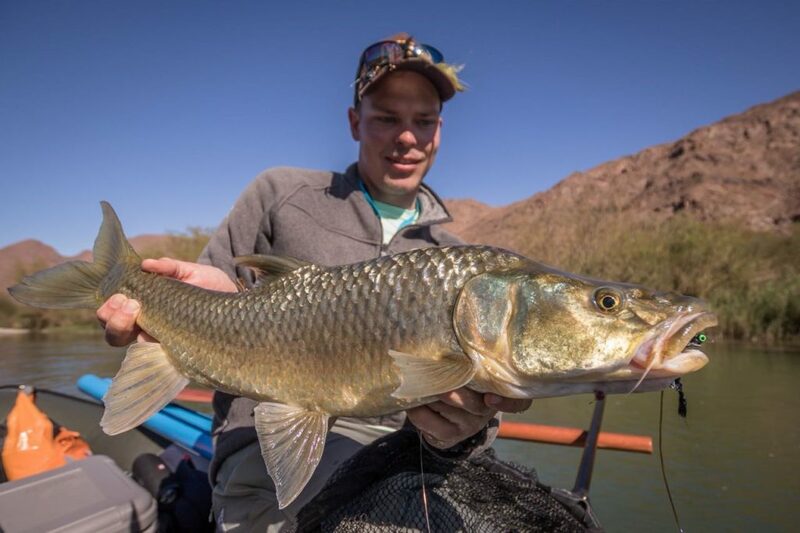 Tough hard fighting fish that will show you your backing several times in the rapids. 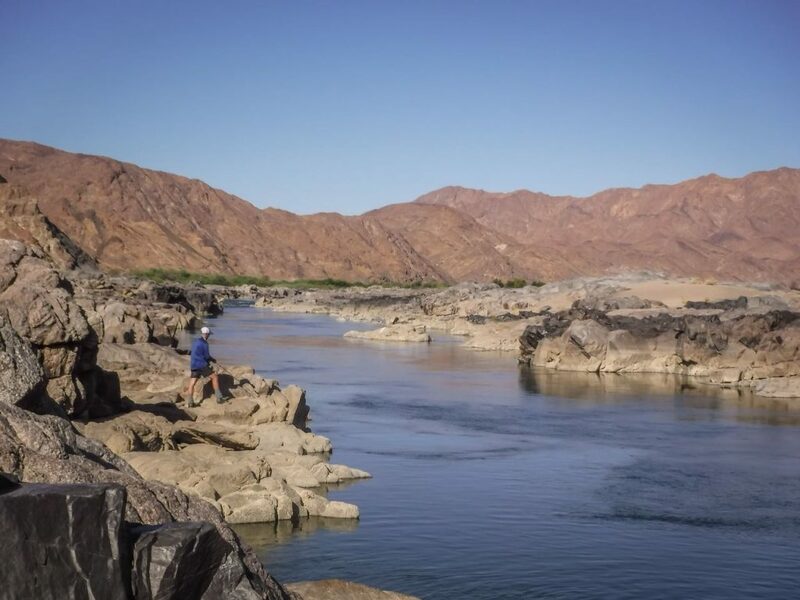 The Orange River is South Africa’s longest river, with its mystical source in the Highlands of Lesotho it flows 2340 km West. 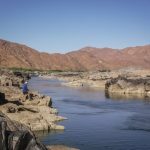 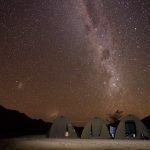 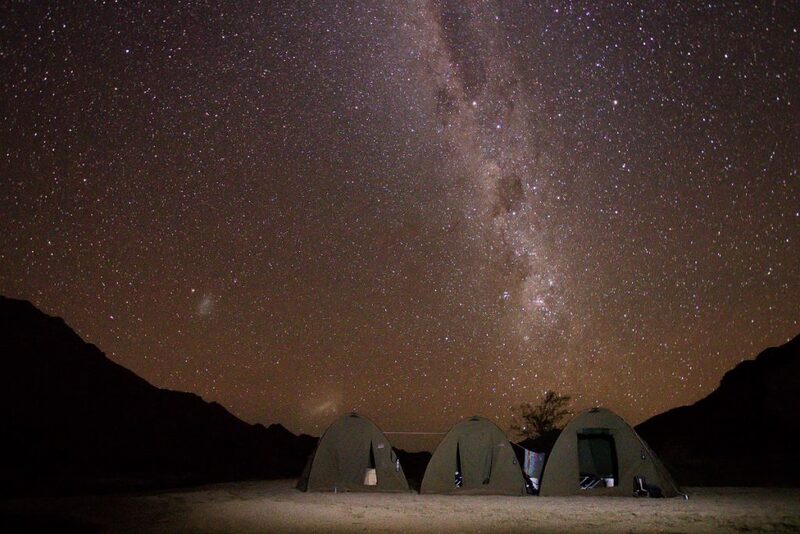 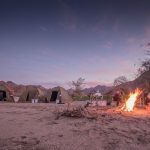 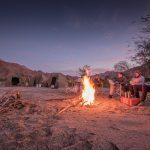 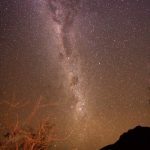 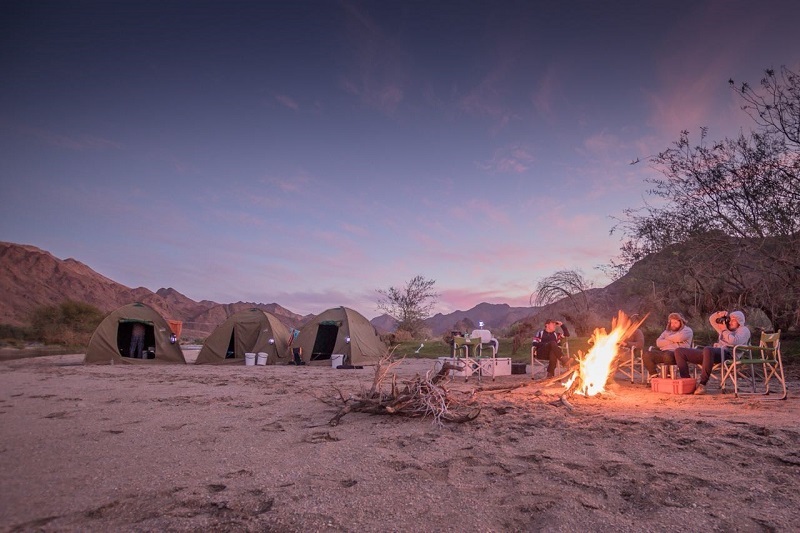 Undoubtedly its Swan Song is the last section before the Atlantic where it flows through the utterly breath taking Richtersveld National Park. 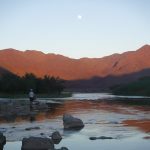 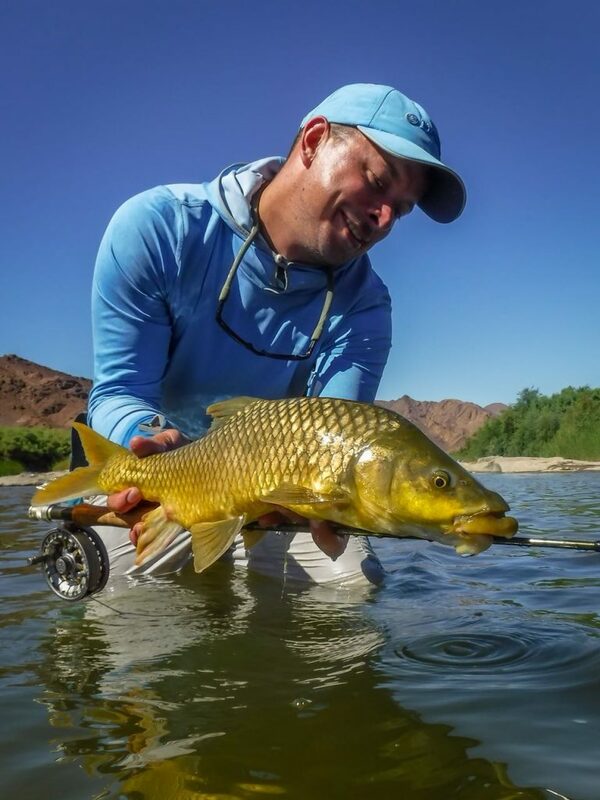 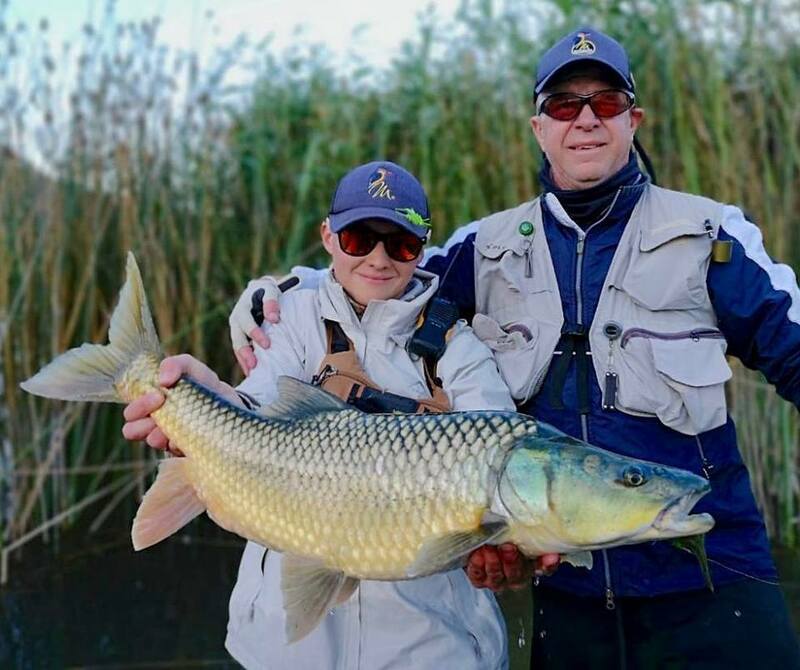 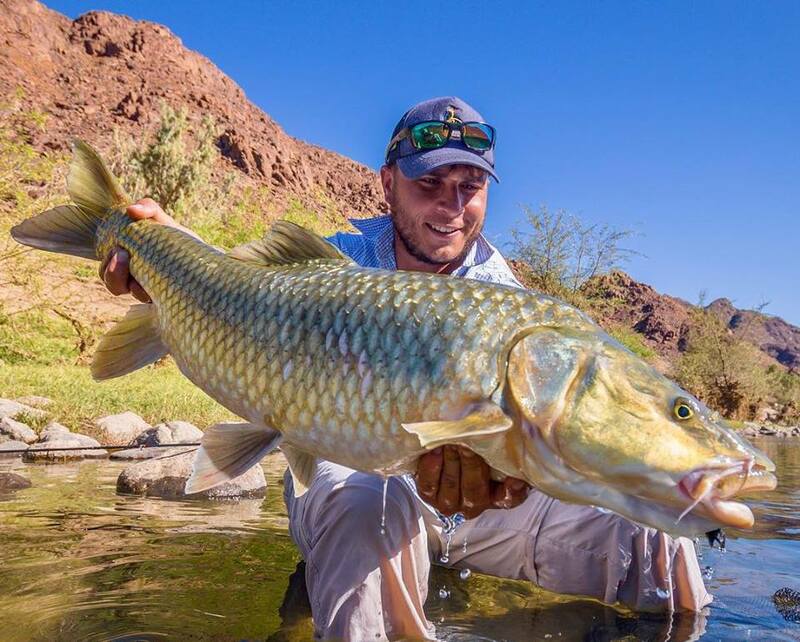 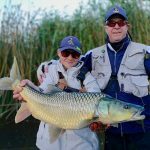 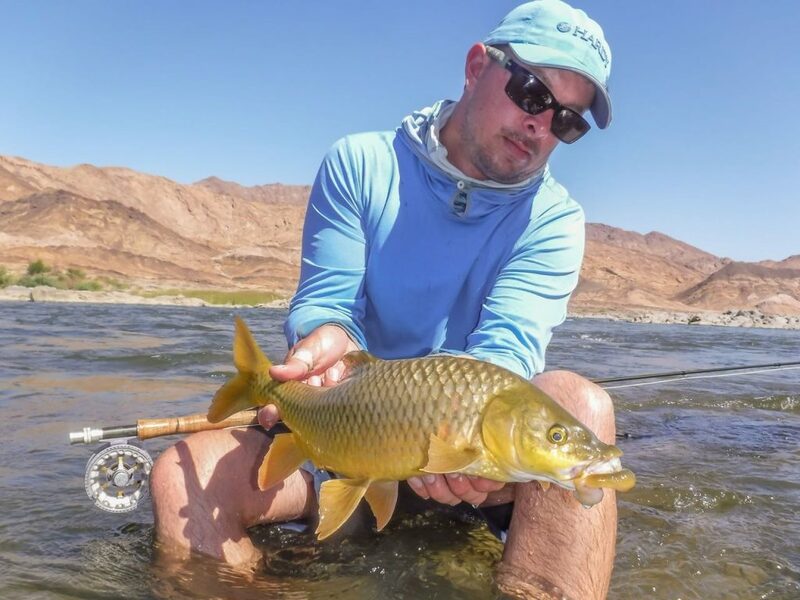 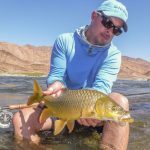 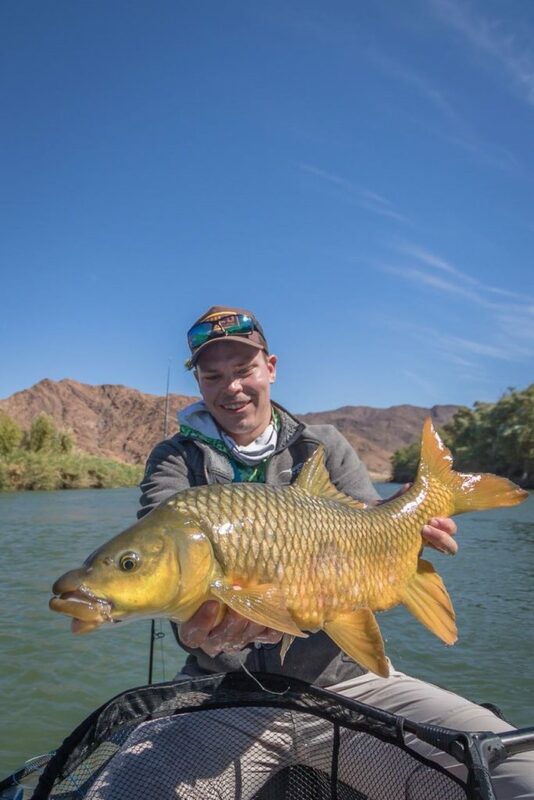 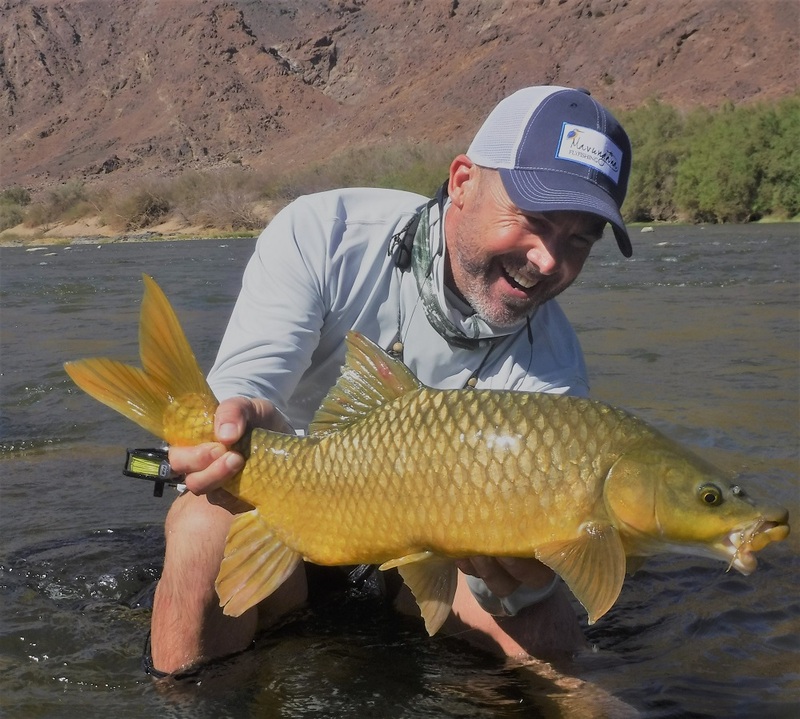 We have been flyfishing the Orange River for many years from its confluence with the Vaal at Douglas, progressively downstream. 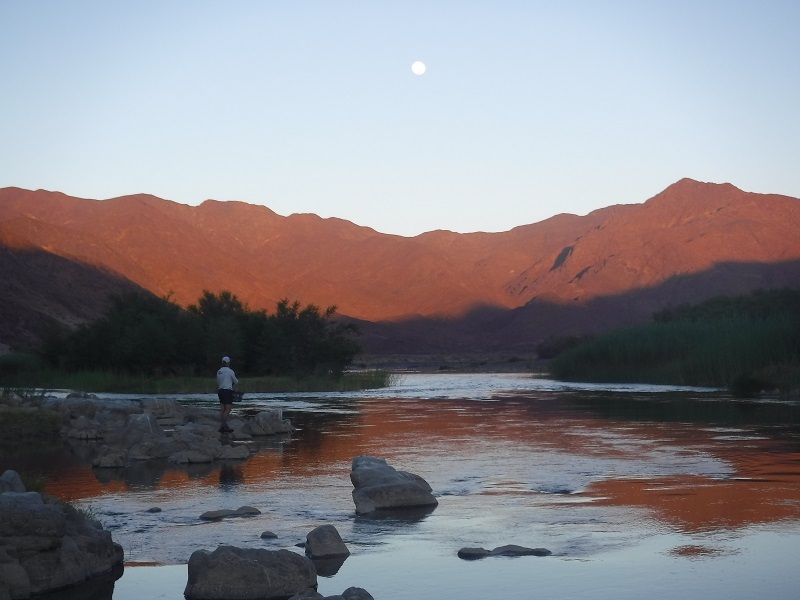 Like any river in the world, the most remote reaches & those protected by a National Park are the waters that beckon. 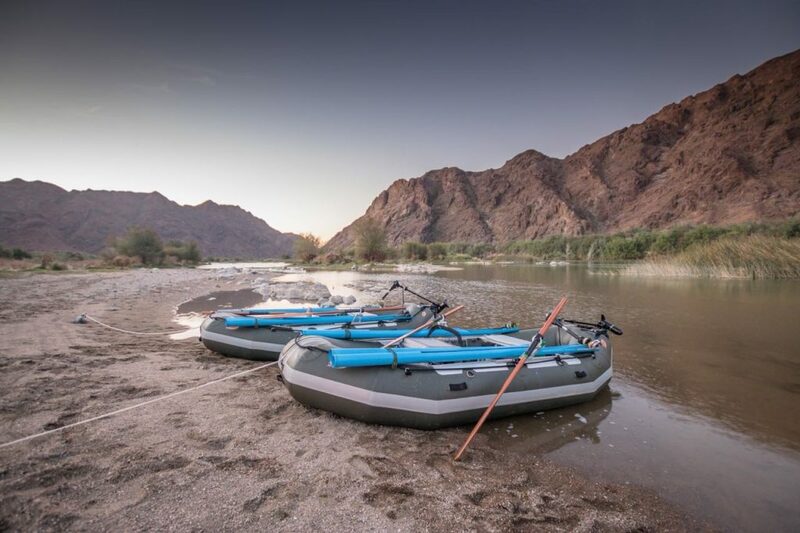 We have had custom-built inflatable rafts made and partnered with SA’s longest standing rafting company. 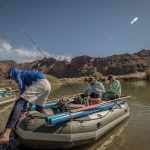 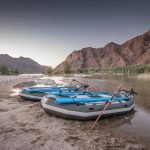 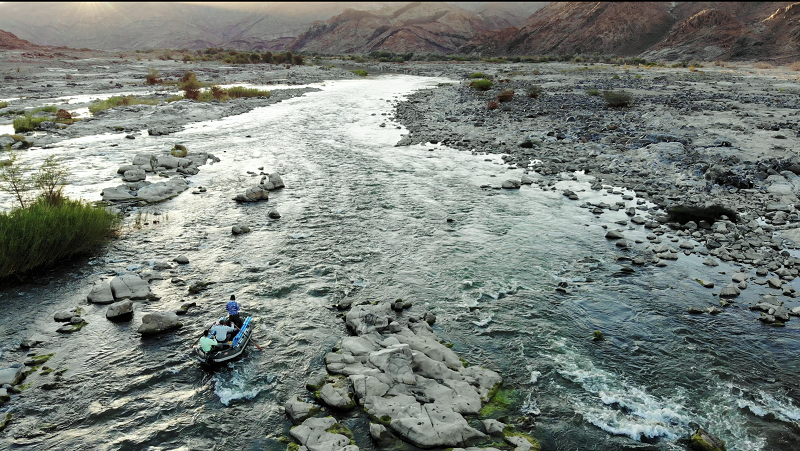 An experienced flyfishing guide will row while a logistics team heads downstream with all provisions and non-fishing related gear. 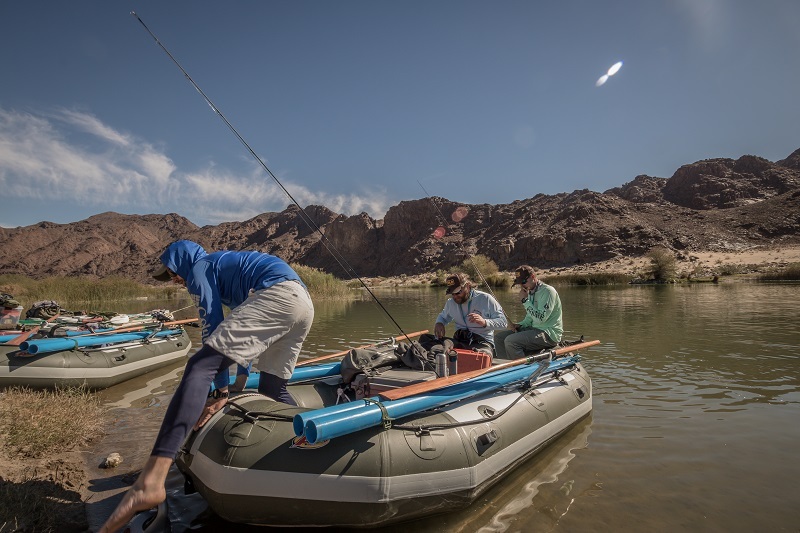 Having run operations in far flung parts of the worldlike Russia and the Seychelles, being remote is not an excuse for Polony and white bread sandwich lunches! . 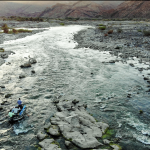 the water on a 4 day drift this section of the river is off the scale! 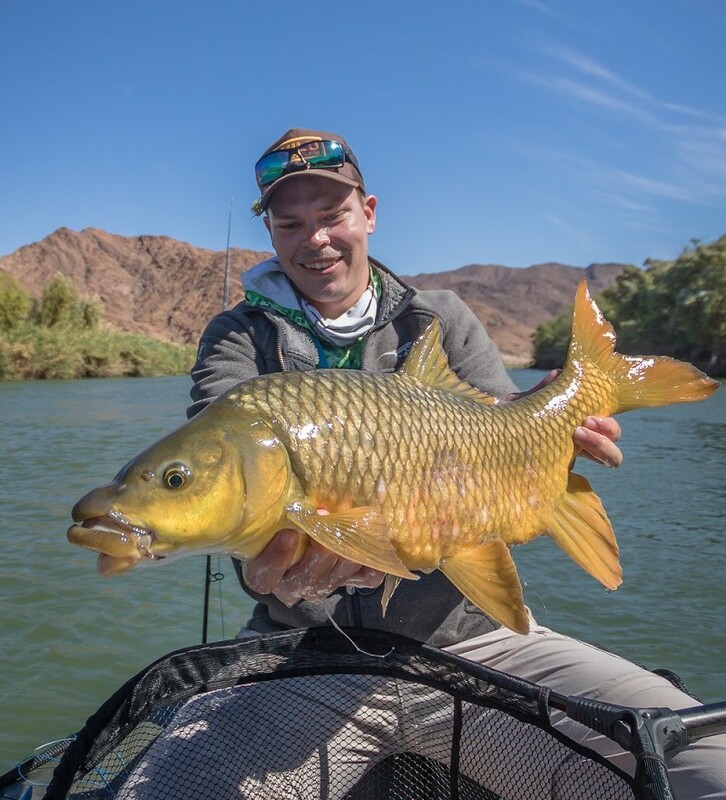 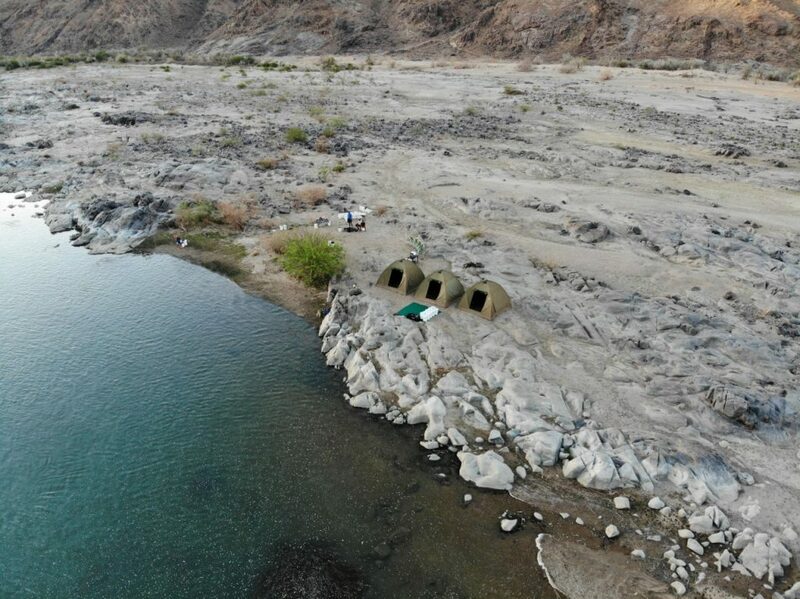 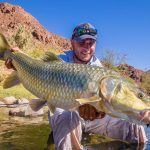 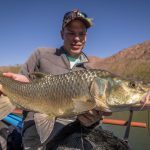 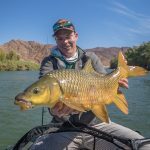 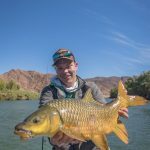 The riffles packed with obliging Smallmouth yellowsfish, many in double figures and the swimming Unicorn, the trophy Largemouth holding in all the suitable boulder strewn pools. 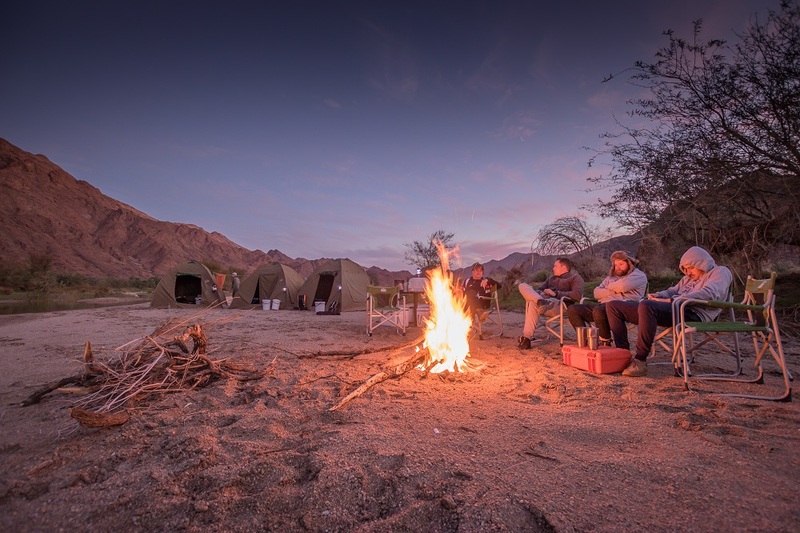 Drinks while at Provenance Camp. 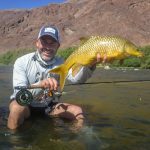 5 or 6 weight rods with matching large arbor reel and floating fly lines. 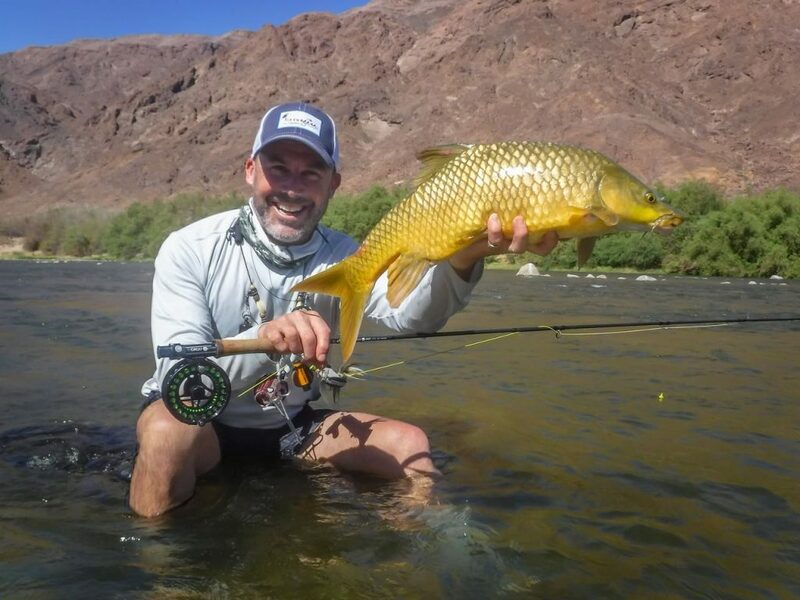 7 or 8 weight rods with matching large arbor reel and floating and intermediate fly lines.